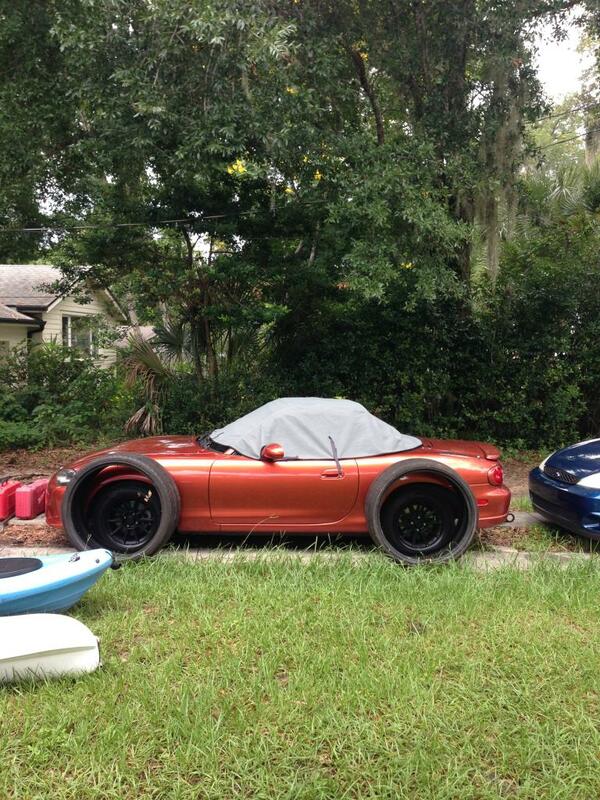 26" tire on a MSM - Miata Turbo Forum - Boost cars, acquire cats. So I was cleaning out the garage the other day and found some 26" tires hidden behind my wall of cat carriers. My MSM has a couple million horsepowers and torques from the factory and I was wondering if adding a taller tire would help me tame the beast. Would Xidas help me fit these without adding fender flares? Pls Rspnd. But it drifts easier when the tread is backwards. I decided I'm just going to stack a bunch of spacers on each of the hubs to clear the fenders, should sit nicely when I'm done. 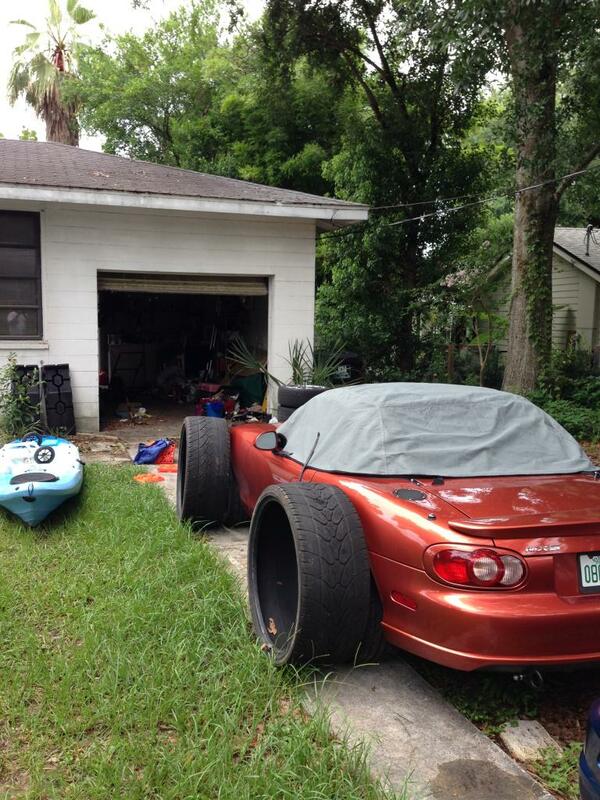 You can fit it...only if stanced. You should sell them and buy a lawn mower. LOL they belonged to an old roommate that moved out, he actually came to pick them up after I took this photo. If you look real close you can see my lawnmower in the garage, among a ton of other crap. The garage is now spotless with room for my Miata inside.